When you start shopping around for replacement windows, low-e glass or low-e windows are terms that will keep popping up. Low-e technology isn’t new. It’s been around since the mid-1970’s. In fact, Every major window and door manufacturer offers low-e glass replacement windows. 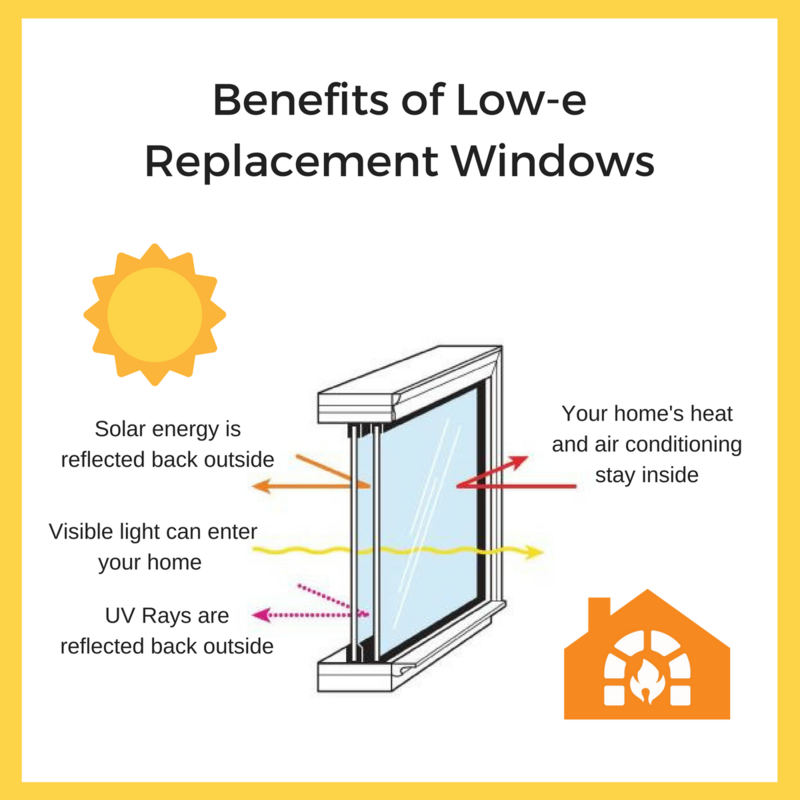 When doing your research to decide on which replacement windows to have installed in your home it helps to understand what low-e means and how it works. One of the biggest reasons for replacing old windows is to improve the energy efficiency. Low-e glass improves insulation or thermal efficiency in a window. The “e” in low-e stands for emissivity. By definition, emissivity is the ability to emit radiant energy. A dark asphalt surface has a high e-factor, while the low-e coating on window glass emits almost no radiant energy. Window glass naturally radiates heat and light. Clear glass absorbs a large amount of this energy yet reflects very little. Hence, clear glass windows absorb all of the heat energy from the sun as well as radiant heat from inside, but none of it is retained. The heat taken in by clear glass windows during the day goes right back out at night. If you’ve ever noticed that certain rooms can be very warm during the day but quickly turn cold when night falls, that’s why. When low-e glass is manufactured, a thin film coating is applied to the raw glass at the manufacturing plant. This coating is applied to one or more surfaces of an insulated glass window. Double pane replacement windows are a popular choice for improving a home’s energy efficiency. With these, the glass is coated on the inside of the outer pane. The coating reflects radiant infrared energy, keeping the energy on the same side it originated while still letting in visible light. Low-e replacement windows improve energy efficiency year round. In the winter, they keep the warmth from your heater inside by reflecting it back into your home. They will do the same thing during the warmer months keeping the cool air in and the summer heat out. This results in less wear and tear on your heating and cooling system, lower energy costs and a more comfortable home. There are two different types of low-e glass, hard coat and soft coat. Hard coat low-e glass has a pyrolytic coating which is applied to when the glass is in a molten state. This type of low-e glass provides medium grade energy efficiency and is typically used in single pane windows. Soft coat low-e glass is placed in a vacuum chamber during manufacturing and has several thin layers of silver with antireflective properties applied to it. The soft coat must be enclosed in double-pane window units to protect it. This type of low-e glass is the most energy efficient and provides more visible light. It also has a much better U-value than hard coat surfaces and allows almost 75 % lower UV transmittance. Improved energy efficiency. As previously mentioned, energy efficiency is one of the biggest reasons for installing replacement windows. 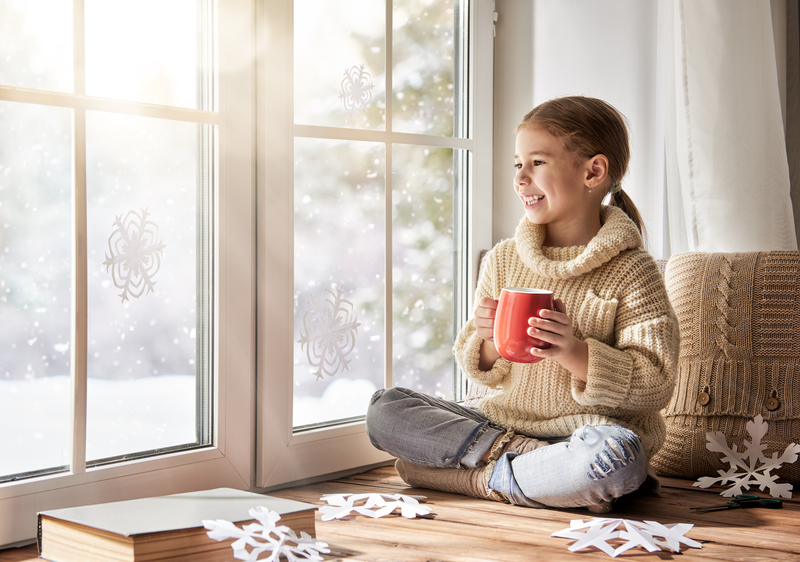 25% of wintertime heat loss can be chalked up to inefficient windows. Low-e glass also reduces heat gain during the air-conditioning season. Less UV damage. Because low-e glass blocks most ultraviolet radiation, It will protect your furniture, carpeting, artwork and finishes from the fading effects of sunlight. Reduced condensation. Condensation can be a problem during the during the winter when the heat is on. When the warm air comes into contact with cold window, it results in the water droplets forming on the glass surface. Low-e glass will minimize or eliminate this unwanted condensation. Having replacement windows installed in your home is a big investment and one that will significantly increase the value, appearance and comfort of your home. Toms River Door and Window can guide you in choosing the perfect replacement windows and expertly install them in your home. Toms River Door and Window carries ProVia and Sunrise brand replacement windows. We have been providing high-quality door and replacement window installation in New Jersey for decades. We have extensive experience working with all types of replacement windows and doors and our craftsmanship and commitment to customer service can’t be beat. Contact us today for a free estimate.